The temperatures are dropping and snow is slowly accumulating on the mountain tops. You know what that means. In no time at all, Texans and Californians will crowd I-70 en route to the bunny slopes in Summit County. Don’t get us wrong. We love seeing people from around the world enjoying our slopes. 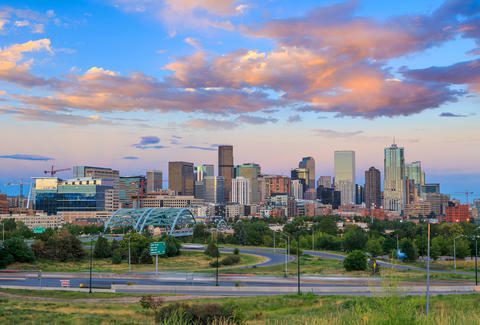 But why don’t you stay awhile and enjoy all of what Denver has to offer? These days, we’re more than just an afterthought for mountain-bound vacationers. In fact, the Mile High City has evolved into quite the bustling metropolis. But that doesn’t mean we don’t hear the same clichés and questions over and over every year. For those visiting, take note! You’ll be acting like a local in no time. 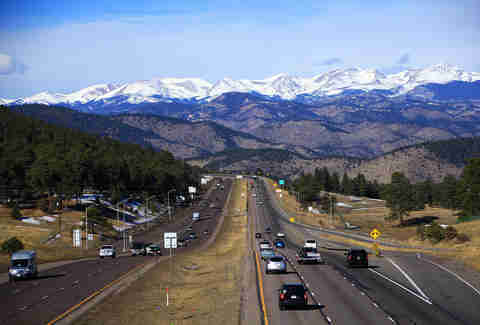 While media outlets tend to exaggerate our proximity to the mountains, we’re more like the foothills of the foothills. They don’t call Denver the Queen City of the Plains for nothing. Because you drank three 10.5% ABV double IPAs at 5,280ft above sea level last night. That’s basically like drinking a 12-pack of Coors Light at sea level. Amendment 64 was monumental for not only the state, but the nation. And yes, recreational marijuana is appreciated by many people for its medicinal and economic benefits. But no, we don’t all partake. And you better believe that we didn’t all move here for the weed. We take our beer pretty seriously in Denver, as evidenced by the 65+ breweries across town. So please, for the love of hops, never, ever order a Bud Light. Not a fan of IPAs and sours? Do us a favor and at least order a Coors. Have you not been reading Thrillist Denver?! 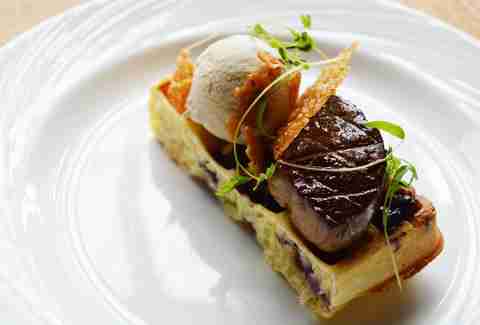 Although it’s taken us a while to garner some notable recognition, we’ve been working hard to build up a seriously amazing culinary scene. Traditionally known for Mexican food, green chile, and Rocky Mountain oysters, Denver’s new food scene is an amalgamation of trendy and idiosyncratic, incorporating new techniques with old world flavors. And it’s working. It’s not a matter of stamina; it’s a matter of common sense. It’s no coincidence that every wise Denverite carries a Nalgene covered in stickers and a tube of Burt’s Bees on them at all times. While we aren’t going to argue with the stereotype that all Denverites are thrill-seeking, freakishly fit adrenaline junkies, the truth is... well, not all of us are. While some of us flock to the mountains to enjoy the year-round bounty of adventure offered by the ol’ Rockies, many of us are perfectly content with city life. Don’t blame us for those that camp out in the left lane, barely hitting 45 MPH on mountain passes. As crotchety natives (bumper sticker and all) will tell you, “It’s all those damn transplants.” In all actuality, though, it’s probably the Texans. Contrary to popular opinion, we have four distinct seasons and fairly temperate conditions throughout the year. Sure, it snows from time to time. But because we’re nestled at the base of the High Plains, precipitation is a bit more modest. Like all cities along the Rockies, we are subject to sudden changes, but as they say, if you don’t like the weather, wait 10 minutes. Um. Yeah dude! When you weren’t looking, Denver grew up. We’ve shed our cow town image and can proudly call ourselves a true city. Come visit and see for yourself, we’ve got everything from world-class skiing and snowboarding to renowned restaurants and some of the best beers in the US. Plus we’re super close to Boulder. You know, if you want something a little less city. Trenton Reed is a full-time copywriter and freelance food writer whose weekends revolve around biking, skiing, and après-everything beers.